Pay attention to the reservation calendar when you book your tour. 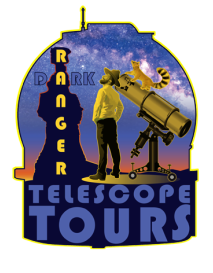 If you are the first to make a reservation for that night YOU GET TO CUSTOMIZE that telescope tour to your liking, by selecting the multimedia show that most appeals to you and your group! In the questionnaire that follows your reservation, you'll be asked to pick the title of the presentation you would like to see. Review choices of live multimedia shows from the slide show and/or video sample below. Pick the show that your group will most enjoy. All of our multimedia shows are educational, entertaining and well received. So, if you are uncertain of your choice we can help you decide immediately prior to the start of the show.